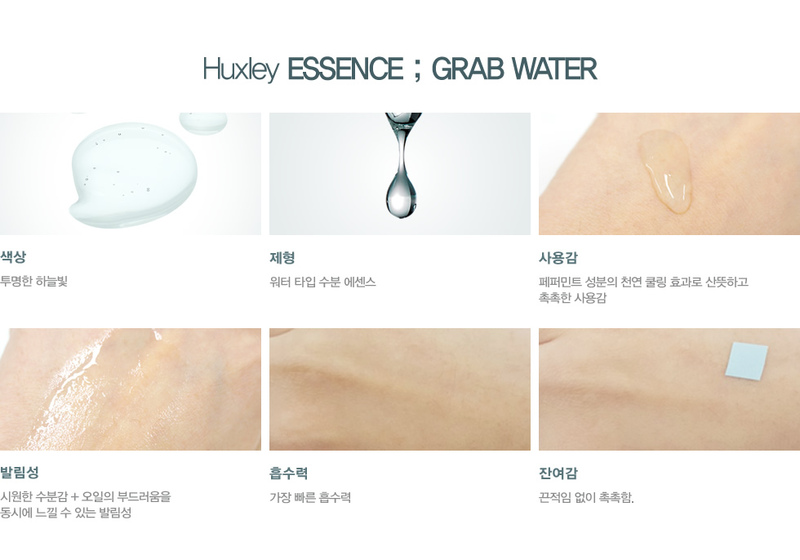 The Huxley Water Grab Essence fills and plumps skin with intensive hydration. Featuring 85% Sahara Cactus extract along with Peppermint and Grapefruit extracts, this essence quenches and awakens skin. Sahara Cactus Seed Oil, a non-comedogenic oil high in Vitamin E, is revered for its ability to quickly absorb into skin while imparting lasting hydration and protecting the skin from stress and aging with its high concentration of antioxidants. After cleansing and toning, apply a dime sized amount of the Grab Water Essence to the face with gentle patting motions. Follow with the rest of the skincare routine or with a moisturizer.